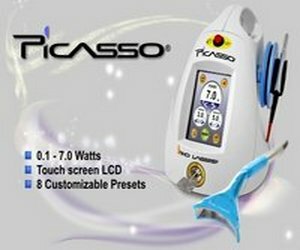 The FDA has cleared the following indications for use of the Picasso dental laser. index, gingival bleeding index, probe depth, attachment loss and tooth mobility). Removal of diseased, infected, inflamed and necrosed soft tissue within the periodontal pocket.